Enjoy fresh produce all summer long and/or grow for freezing, canning, or storing, too. The 49 garden beds in the Community Gardens are located on the south side of the North Central Technical College building. Most beds are 4’x8’ and rent for $10 per season. Smaller beds (3’x6’, 4’x6’, 4’x5’, and 4’x4’) rent for $5, and 2’x2’ beds rent for $2. Some beds are elevated on legs and are suitable for those with limited mobility. 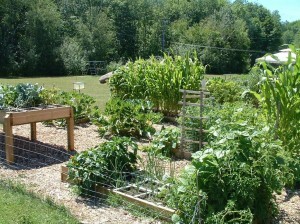 The garden beds are filled with compost, and the aisles between the beds are covered with wood mulch. Each bed is laid out in grids for use of the square foot gardening technique, which gardeners are expected to follow. See the video and handbook for information. Free seeds are available at the UW-Extension Office; small hand tools can be borrowed there, as well. Water is available at the site. The garden area is surrounded by rabbit resistant wire. Garden members are welcome to relax in the gazebo located in the garden area. 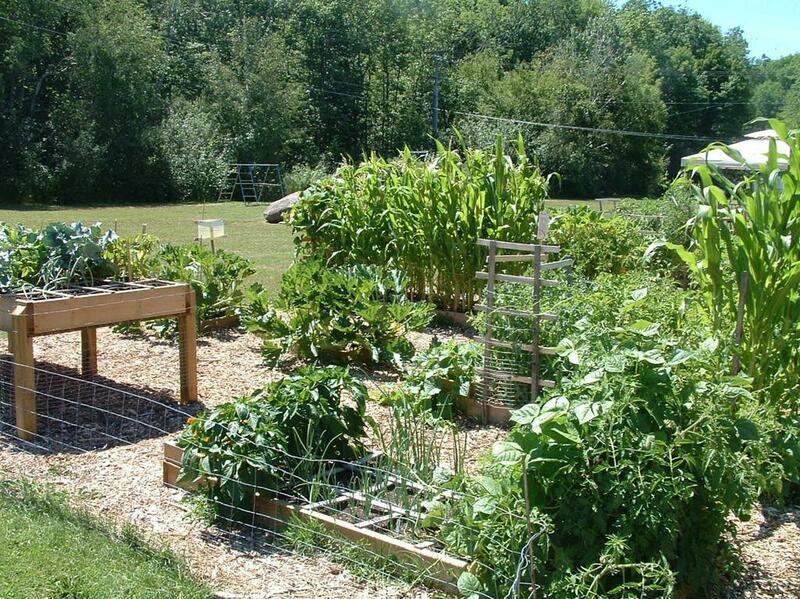 The Community Gardens are a great way to enjoy the company of other gardeners and share gardening tips as well as producing tasty vegetables. For more information or to reserve a bed, call UW-Extension, 715-748-3327.